Alcatel has launched a new device, dubbed as Y854. 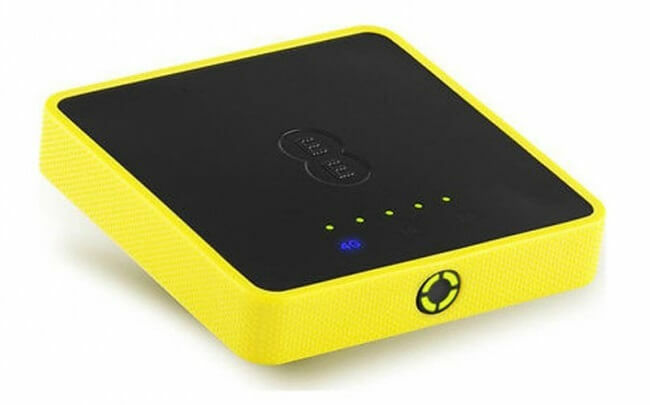 It is a 4G LTE enabled mobile WiFi router that can provide download speed up to 150Mbps and upload speed limit is 50 Mbps. 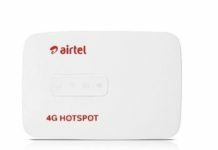 It supports 4G LTE FDD band 3/7/20 (800/1800/2600 MHz), 3G band DC-HSPA+/HSPA+/HSPA/UMTS 900/1800/2100 MHz and 2G band GSM/GPRS/EDGE 850/900/1800/1900 MHz. The Alcatel Link Y854 can connect up to 10 wireless devices simultaneously to access the internet. It has a huge 5150mAH battery and works like a power bank. In features, the device is very similar to Huawei E5377T. This device can pour 43.2 Mbps download link and 5.76 Mbps upload link in DC-HSPA+. Its unremovable battery of 5150mAH capacity can deliver the internet up to 20 hrs on a single charge, while it will end in 500hrs of standby. Y854 has a micro SIM card slot. It measures 88 × 88 × 17.6 mm, while weight is 185g. Its average price in the market is 150 USD. How to Unlock of Alcatel Y854? 1. Change the default SIM card of the router with any another network provider. 3. Login to the device. 4. Click on “Connection” menu. 5. Enter here 10-digit NCK code which is provided by routerunlock.com. Previous articleHow to Unlock Huawei E5336, E5336s-2, E5336Bs-2, E5336Bs-6?